Capability, composure, and comfort, super-sized. 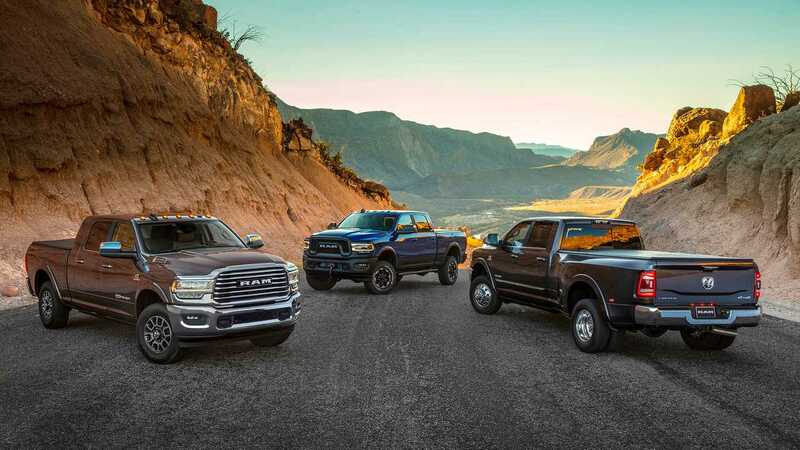 Between the start of the 2019 North American International Auto Show in January and the close of the 2019 Chicago Auto Show during the first week of February, the world’s three largest truck producers introduced new versions of their three-quarter and one-ton pickups. And now, the first of these vehicles is barreling toward dealers as it attempts to take a bigger piece of a very lucrative pie. 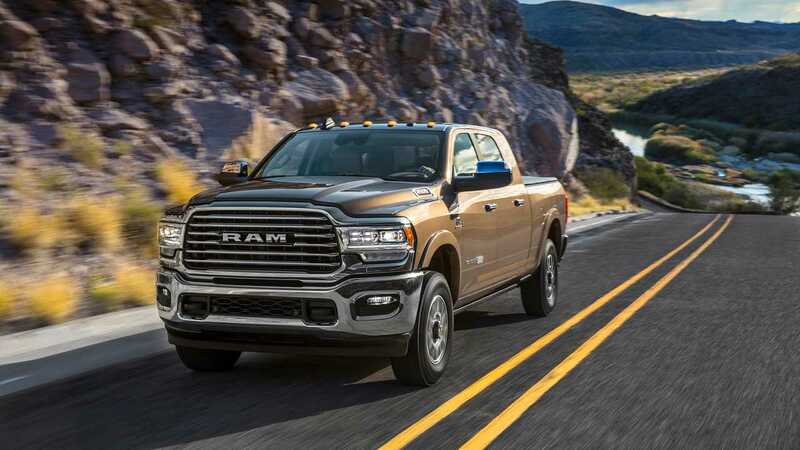 That truck is the 2019 Ram Heavy Duty, available as a three-quarter-ton 2500 and a one-ton 3500, and like the half-ton Ram 1500, its approach to truck stuff blends capability with comfort and intelligence in a bid to wrestle away some of Ford and General Motors’ most loyal customers. It should work. 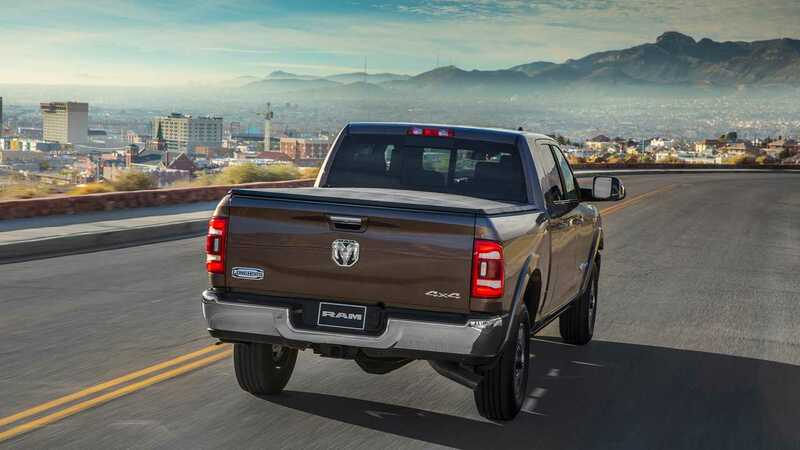 Ram has created a heavy-duty truck that remains infinitely useful on the worksite, but is also comfortable every day, is composed on urban roads and in traffic, and doesn’t require its owner sacrifice livability to embrace the truck lifestyle. The Ram HD’s capability announces itself through a swarm of numbers. The biggest is the revised towing capacity: a scarcely conceivable 35,100 pounds (that’s for the 3500 Mega Cab 4x2 with the high-output diesel – the 2500 maxes out at 19,780 pounds, while the 3500 with the less powerful diesel can tow 22,740 pounds). And it does this impressive deed with up to 1,000 pound-feet of torque. This is gross American excess in its purest form, and I love it. Both of these engines are delightfully relaxed in everyday cruising, where abundant low-end torque – the 2500 hits its peak torque at 1,700 rpm while the high-output’s 1,000 lb-ft of twist arrives at 1,800 rpm – keeps the big truck trundling along, regardless of load. A short stint with a 3500, a horse trailer, and a steep, winding road in the desert outside Las Vegas proves that even laden the 6.7-liter straight-six has enormous amounts of power in reserve. With the horse trailer dragging along behind me, the truck still surges ahead when given a cowboy boot’s worth of throttle. The Ram HD hauls trailers like most sedans handle a couple of suitcases. The Ram HD hauls trailers like most sedans handle a couple of suitcases. For an entirely different character, Ram will continue to offer a gas-powered 6.4-liter V8 with 410 hp and 429 lb-ft of torque. 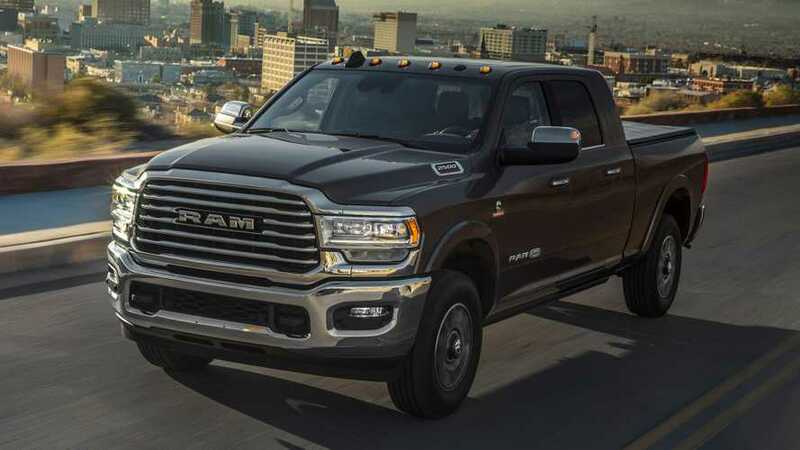 If the Ram HD’s turbodiesel is the big, lazy heavyweight that deals in one-punch knockouts, the 6.4-liter is the faster, more frenetic middleweight boxer that often proves more entertaining. I started my day of Ram testing with this engine under the hood of a rear-drive, single-cab 2500 Tradesman work truck with 1,200 pounds of lumber in the long bed. It’s an absolute riot. Where the diesel engines reach their redline at just 3,200 rpm, the 6.4-liter surges on until 5,800 revs, delivering power and torque by the bucket load. The gas engine has more character, with a sharper throttle response that pairs well with its relatively revvy nature. The muscle car-like performance extends to the 6.4-liter’s soundtrack, too, and the big V8 has a magnificent, full-throated bellow under hard throttle. If towing is your game, the gas engine is inarguably the worst choice (it can tow “just” 17,810 pounds), but it’s more likable around town and avoids the diesel’s $9,100 premium. The V8 also has the better transmission in the familiar, critically acclaimed ZF eight-speed gearbox found across FCA’s lineup of rear-drive and truck platforms. It’s not that the two six-speeds that work alongside the diesel engines are bad. The 68RFE transmission in the 2500 and normal-output 3500 is as well-regarded in truck circles as the ZF box is among performance and luxury brands, and the new Aisin gearbox in the high-output diesel manages the ample torque and horsepower impressively. While both offer predictable, pleasant behavior whether towing or commuting, the general goodness of the ZF transmission overshadows the six-speed boxes. The eight-speed is snappy and remarkably predictable, punching out upshifts and downshifts in a crisp, well-timed fashion that feels odd for a HD truck. The eight-speed automatic isn’t the only inspiration from the smaller Ram 1500. The cabins on the two cars have a tremendous amount in common, to the point that I’d fail a Pepsi Challenge between trims on the 1500 and trims on the 2500/3500. The Ram 1500 has unquestionably the best cabin in its class, and now the same is true of the HD models. 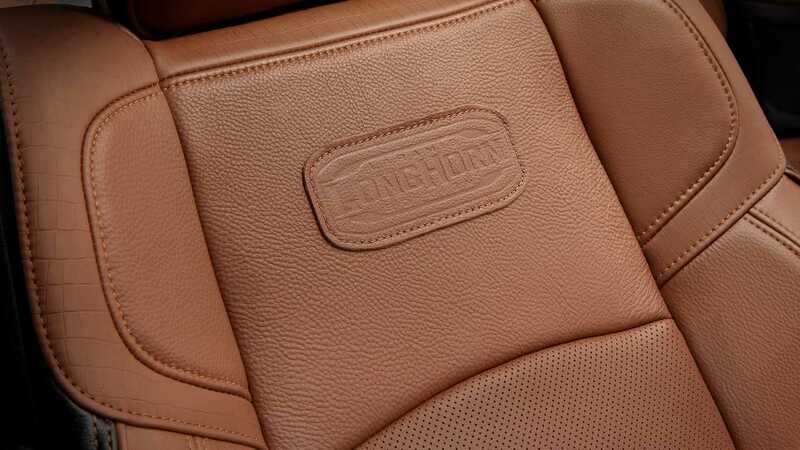 Longhorn and Limited models wear broad swaths of soft leather and a forest’s worth of real wood trim. 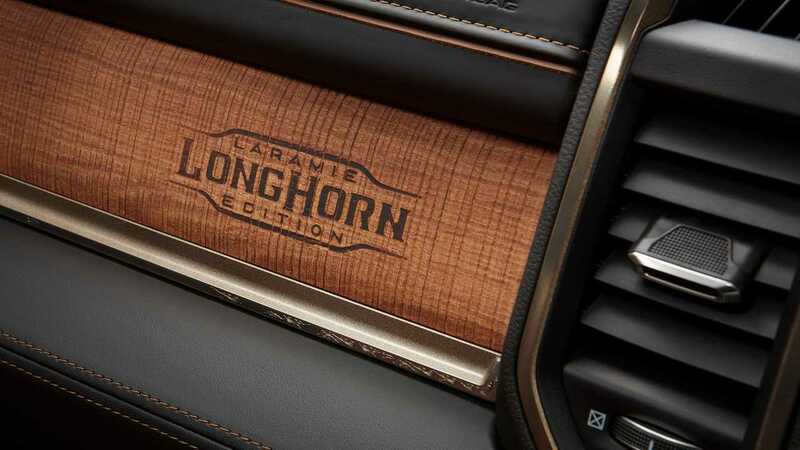 Tiny touches, like the filigreed accents on the 1500 Longhorn and the branded logo on the dash’s wood are present on the 2500/3500, too. In lesser trims – Tradesman, Big Horn, Power Wagon, and Laramie – quality is virtually as high, with well-fitted plastic elements that feel solid and soft to the touch. That Ram is able to install such pleasant materials on trims that will surely live a harder life is impressive. That these HD variants are nearly as quiet is even more so. Even the base, rear-drive work truck is impressively hushed. Even the base, rear-drive work truck I spend the first half of the day sampling is impressively hushed. That’s not to say it’s the equal of a Longhorn or Limited, but considering a 3500 Limited 4x4 Mega Cab is twice the price of my $33,000 Tradesman, the 3500 certainly isn’t twice as quiet. 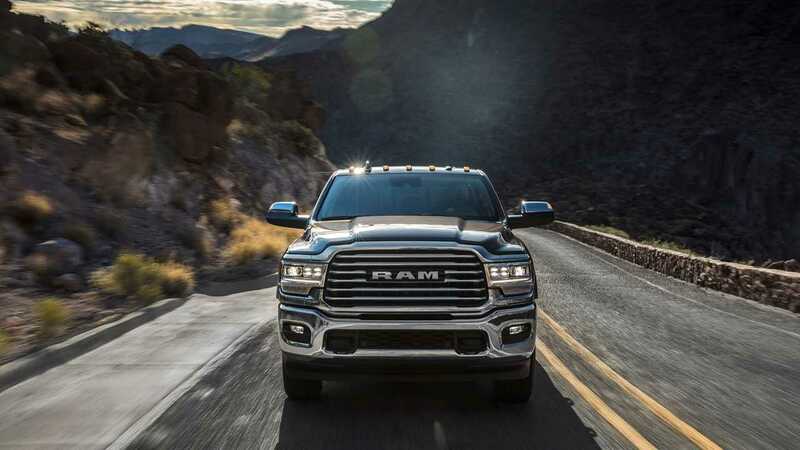 Ram did a bang-up job controlling noise, vibration, and harshness in its HD line, adding frame-mounted vibration dampers and active noise cancellation to drown out any unpleasantness. 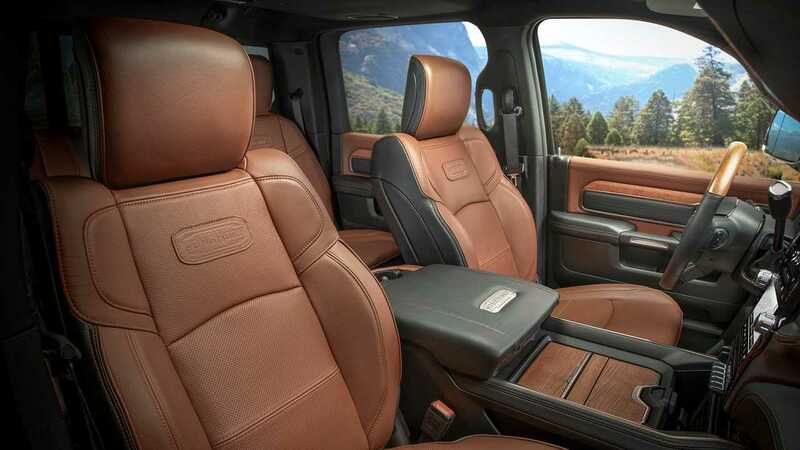 That sense of comfort extends to the Ram HD’s ride quality. Like the 1500, the 2500 and 3500 will likely offer the most comfortable rides in their respective classes, whether loaded or unloaded. After stints in the lightly loaded 2500 Tradesman and a trailer-equipped 3500 Longhorn, I opted for a 2500 Big Horn Mega Cab for the drive back to Las Vegas. With next-to-no weight sitting over its big rear axle, I expect a rougher ride and some of the poor manners inherent in body-on-frame pickup trucks. That doesn’t happen. 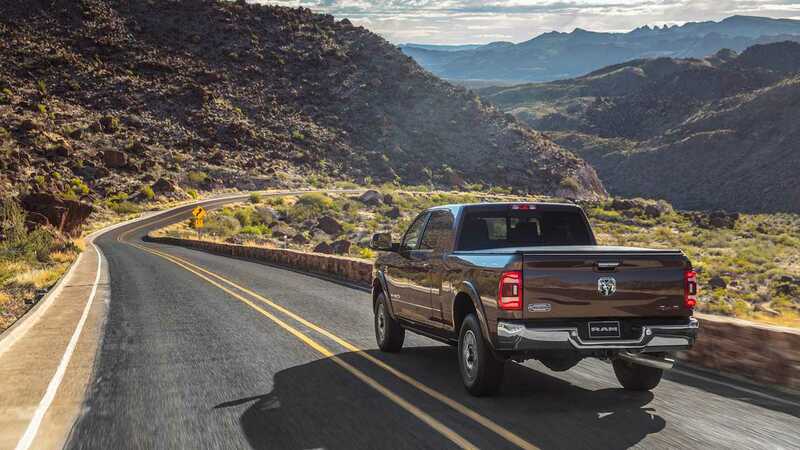 Instead, running down Interstate 515 and then up the Las Vegas Strip, the Ram 2500 seems almost placid for a three-quarter ton, unladen pickup. That’s because Ram went modern for the HD’s suspension. Frequency responsive dampers, progressive springs, and revised bushings sit on the front axle, while the five-link rear suspension from the last-gen HD remains. Air suspensions are optional and further refine the ride. In the real world, all that mumbo jumbo means bumps and imperfections won’t send the Ram HD skittering sideways in the lane and impacts don’t reverberate through the chassis. Based just on this short, hour-long journey, I wouldn’t hesitate to drive the Ram HD daily. While the ride quality and excellent noise control are a big part of that statement, it’s also partially down to the available technology. 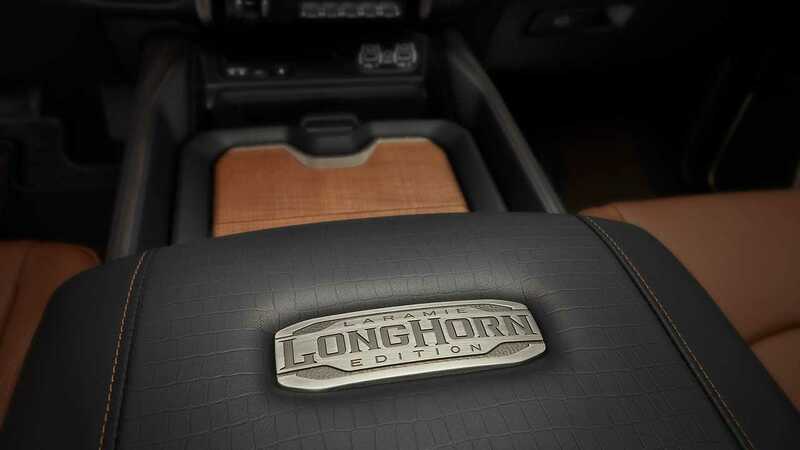 The Ram 1500’s well-regarded 12.0-inch, portrait-style infotainment system is available on the Power Wagon and Laramie and standard on the Longhorn and Limited. And even if you pass on the huge display, the Ram still offers its popular 8.4-inch display on every trim but the Tradesman (there’s a tiny five-inch display here). These are both incredibly solid infotainment setups that you’ll be happy to use each day. The 2019 HD also includes modern safety gear, and while much of it is – disappointingly – optional, Ram offers its Safety Group on every trim level, which is a much better strategy than some of its competition (cough, GM, cough). That option pack adds full-speed adaptive cruise control, forward collision warning with automatic emergency braking, blind-spot monitoring with rear cross-traffic alert, LED headlights with automatic high beams, and rain-sensing wipers. Of course, all this tech comes with a price tag. Of course, all this tech comes with a price tag. While the Ram 2500 Tradesman starts at $33,395, this big truck’s more premium models aren’t cheap, with a range-topping Ram 3500 Limited Mega Cab 4x4 starting at $67,050. That price jumps by $9,100 if you want the normal-output 6.7-liter turbodiesel or $11,795 for the high-output variant, in addition to the $2,900 and $1,500 already included in the price for the four-wheel-drive system and Mega Cab body, respectively. A high-output-diesel Limited Mega Cab 4x4 costs $78,845 before adding option groups like the Max Tow Package, Off-Road Group, or Safety Group. In short, loading up a Ram HD will not be cheap, even if you want the most popular features. But it will be worth it. The capability is here, as it’s always been, but it’s the way the Ram HD accommodates the increasing number of drivers that aren’t constantly using their heavy-duty pickups for towing and hauling. In the past, even the cushiest luxury pickup demanded a livability sacrifice: the technology was inferior, the cabin focused too much on durability and functionality, and the ride was lousy, noisy, or both. But just as it’s done with its half-ton truck, Ram has mostly solved these problems in its three-quarter and one-ton pickups. The Ram 2500 and 3500 still work every day, but the 2019’s workload extends well beyond just truck stuff.